Chase (just Chase) has worked with the streaming platform for eight years both in-house and with an agency. 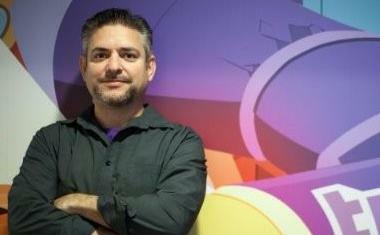 SAN FRANCISCO: Twitch said goodbye to its longtime director of PR, Chase, this week. Chase confirmed on Twitter on Tuesday that he is planning to depart the live streaming video platform. He did not disclose his next destination. Chase has worked at Twitch since 2013, during which time he oversaw domestic and international media relations since its 2011 launch, as well as managing PR agencies in Europe, Asia, and Latin America. In the U.S., Twitch works with Fortyseven Communications. Previously, he helped to launch the video-game-focused streaming platform in 2011 as it was spun off from Justin.TV, an online broadcasting company. During the launch, Chase was working at Ketchum-owned Access Communications as media relations director, according to his LinkedIn account. "Twitch is a great company with a stellar culture, but now that it has a firm footing in the industry, I miss the excitement of building something new or bringing my skill sets to other parts of the gaming ecosystem," Chase said, via email. "I might even look for opportunities within Twitch or at Amazon based on other passions I have nurtured, such as working with streamers, game publishers, and developers." He added that the company added communications staff and a local PR firm last year and that it is planning to hire more, "so they will be sufficiently staffed." Esports reporter Rod Breslau, who broke the news, tweeted that "of the original 20 Twitch employees that the site launched with...only five people remain." Chase’s exit triggered an outpouring of support from former colleagues, Twitch partners, journalists, and esports hosts. Justin Wong, Twitch’s former VP of community and social, credited Chase with playing a central role in improving the gaming industry for influencers in a tweet. Most don't appreciate how much you've done to improve the gaming industry for influencers. 8 years ago, launching a AAA title like @PlayApex entirely through influencers was unheard of. Now, influencers are crucial for every game. You helped make that possible. Thank you. Twitch has been an Amazon subsidiary since 2014 when the ecommerce giant acquired it for almost $1 billion. More recently, Twitch partnered with Disney Digital Network to host exclusive content from Disney-managed talent and entered a two-year media rights deal with Activision-Blizzard’s Overwatch League to host the esports league’s competitive matches. Twitch’s growth in Q4 slowed, but it increased quarterly active streamers by 8% to 1.8 million, concurrent viewers by 3.6% to 1.2 million, and concurrent streamers by 5% to 45,500, according to StreamLabs. This story was updated on February 14 with quotes from Chase.